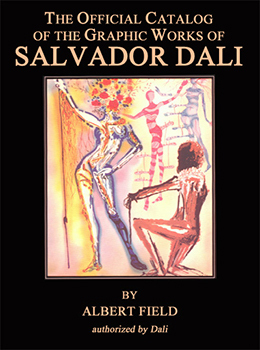 Includes 'A Guide to Collecting Dali Prints,' Lists and illustrates which Dali prints you should not own. Compiled with Dali's full authorization and participation, Albert Field's catalog is the culmination of his forty-year friendship with the artist. This definitive volume corrects serious errors and omissions of other catalogs and illustrates every authentic print, intaglo, lithograph and woodcut Dali created. A must for collectors, galleries and museums.